The solution of transfer, manipulation and positioning of the glass is usually a part of our projects, especially in connection with the automation of the automotive glass production. 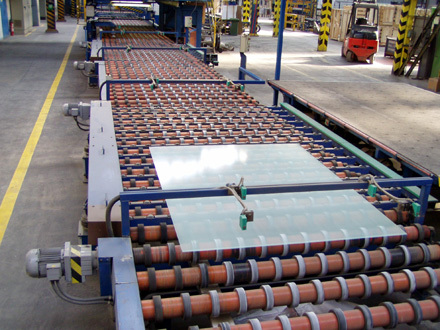 We also possess experience of completion of flat glass conveyors (float, patterned glass, etc. ), or of individual solutions of the automotive glass manipulation and positioning. - Additional solutions of custom-built manipulation, including storage bins, etc.